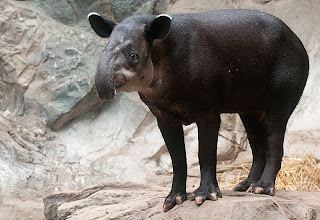 Animal Wildlife | Baird's Tapir | Baird’s Tapir is a species of tapir that is native to Central America and northern South America. 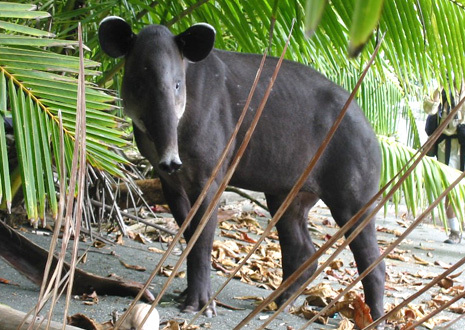 Baird’s Tapir is named for the American naturalist Spencer Fullerton Baird who traveled to Mexico in 1843 and observed the animals. However, the species was first documented by another American naturalist, W. T. White. 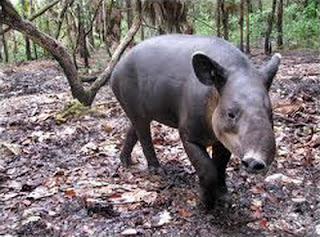 Tapir is the largest land mammal in Central America. 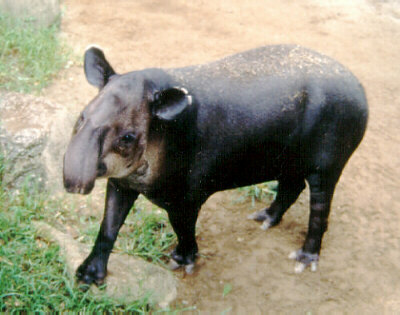 The Baird's Tapir can be identified by the fact that this species of tapir has a cream coloured marking on it's face. The skin of the Baird's Tapir commands a very high price. 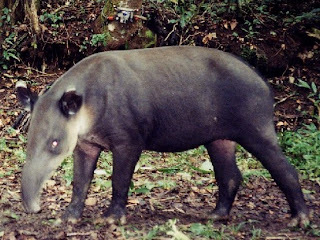 Leather hunting and deforestation has caused their numbers to drop by less than half. 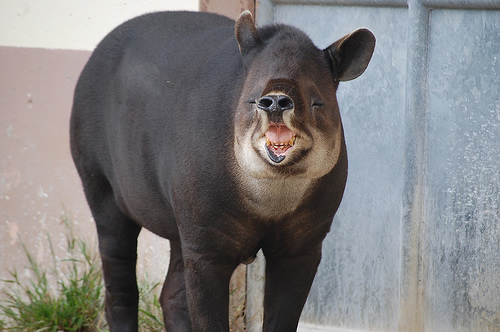 Baird’s Tapir may be active at all hours, but is primarily nocturnal. It forages for leaves and fallen fruit, using well-worn tapir paths which zig-zag through the thick undergrowth of the forest. The animal usually stays close to water and enjoys swimming and wading on especially hot days, individuals will rest in a watering hole for hours with only their heads above water. It generally leads a solitary life, though feeding groups are not uncommon and individuals, especially those of different ages (young with their mothers, juveniles with adults) are often observed together. The animals communicate with one another through shrill whistles and squeaks. Baby Tapirs spend a long time in their mother's stomach, and are born only one offspring at a time. Their slow birth rate makes it difficult for their numbers to recover once it declines. 0 Response to "Baird's Tapir"